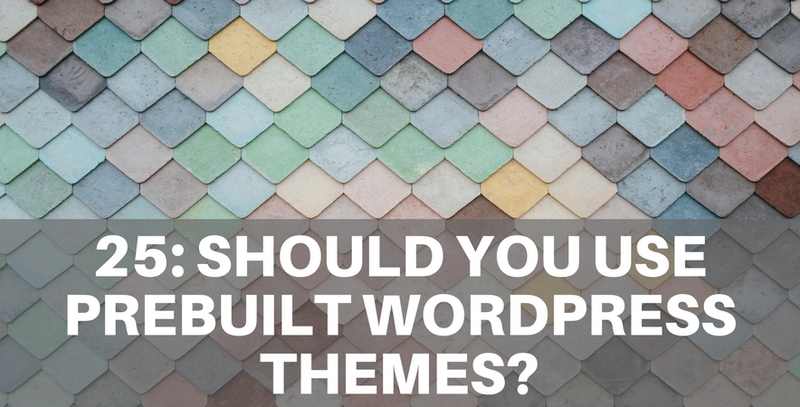 WordPress themes are everywhere, there are so many choices available today including those as part of frameworks as well as stand-alones. They make life easy and you can save a lot of time and money. But should you use them? Would you be better served by getting a well optimised custom design? We discuss your options in today's episode. Darryl: Hi I'm Daryl King and my co-host Ed Pelgen we're a couple of old internet guides have been running our online agencies for over 20 years we get together weekly to talk about all the things online especially for small and medium business owners who still refer through their bloody website each week we look at tackling a range of online issues and put them in plain language so anyone can understand how to make the websites work better for their businesses Ed this is episode 25 we're gonna touch on a whole lot of WordPress theme issues I believe how are you? Edmund: Very good and yourself Darryl? Darryl: you know like just move on because there are tens of thousands of themes you can choose from and yeah you're not limited by choice but you are there like you said there's a massive array of quality.